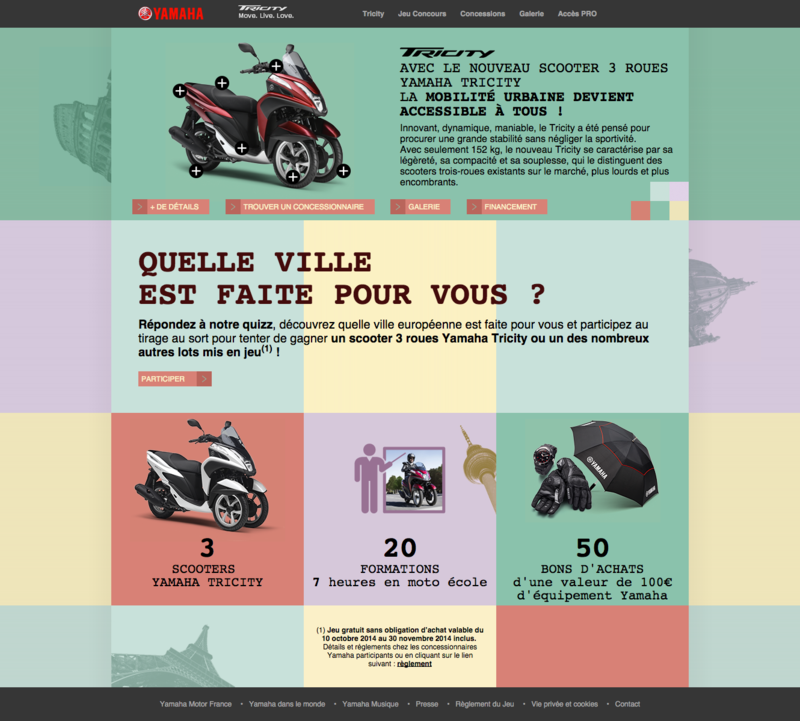 Our friend Aurélie at 3ma Group kindly offered us to work with her for the online launch of Yamaha’s new 3-wheeled scooter. Sure we like to ride! 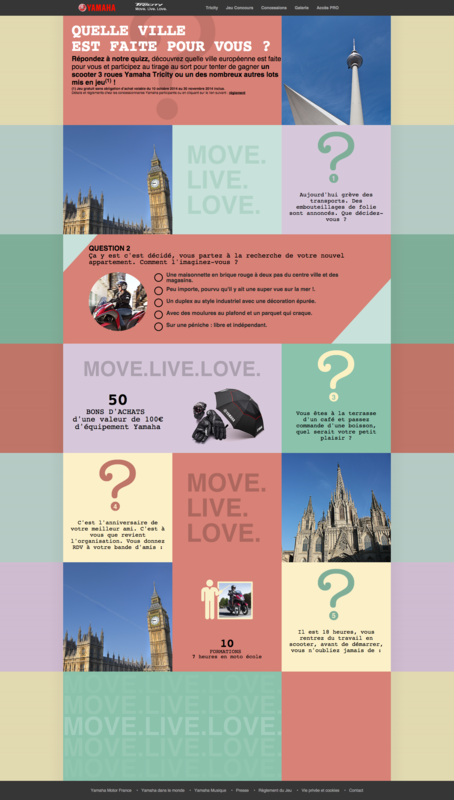 So we helped in the building of an online game, easy/viral « In which city should you live? ». Our friendly neighbors at L’éclaireur worked on the layout inspired by the print items, we setup some databases and forms, and quick after that the site was online, desktop and mobile. Then we added a back and a middle office, some e-mail alerts, and a dealer locator with Google Maps. As I am writing, the game is still rollin’ and we are getting loads of players and some nice Analytics. So maybe you should visit the website now, and register to win a 3-wheeled scooters, Yamaha coupons, and more!